Eye makeup items are susceptible to fashion products. However, it will be safe for producers to assume that eye shadow lovers will also be very discerning when choosing the eyeshadow brand to buy. To satisfy and entice users, quality and attractive boxes can be used to deliver these products. Leading packaging companies create these boxes from durable materials. These boxes are also shipped flat to the consumer and can also be used immediately. Different sizes and shapes of these boxes are created to deliver the product. The materials used in making eye shadow box from cardboard, corrugated board, and Kraft paper. These materials are also available in different thickness levels. The thickness of the material used for these boxes also ranges from 12 pt to 14 pt. The customer also determines the thickness of the material. Eyeshadows are significant to make up items. Delivering these items with quality and attractive packaging boxes will enhance your business reputation. These packaging boxes are also used to protect the eyeshadow from damages. The products are also delivered in beautiful packaging boxes to delight potential buyers. These boxes are also used to hold more than one eye shadow makeup item. Large eye shadow makeup items are also transported safely in the box. With unique features like inserts, and partitions created in these boxes, different colors of eye shadow makeup item can also be stored in the eyeshadow box. Window cuts are also used on the box to entice consumers. This design also helps to enhance the visibility of the product. Since buyers can see the product through the packaging box, businesses can receive more sales. The box also protects the product from moisture and heat. Different shapes and sizes of the eye shadow box are also created to delight the buyer. The packaging box is customized into any unique shape or design to deliver the product. 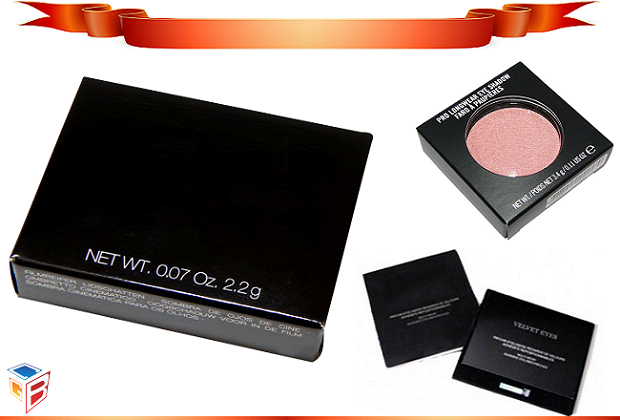 Regarding marketing, eye shadow boxes are also used as an excellent marketing tool. These boxes are printed with details about the company and product. Brand logo, company address and other information about the company can be printed on the box. Information such as the manufacturing date and ingredients used can be listed on the box. When it comes to customizing your eye shadow boxes, numerous options are available. Consumers love it when fashion items are being delivered in attractive packaging boxes. There are many options to customize these boxes. You can create different sizes, shapes and color of these boxes to delight potential buyers. When it comes to color, different colors can be used to show the colorfulness of the eyeshadow boxes. You can choose single or more than one color for your eye shadow box. With high color techniques such as the CMYK and PMS, high-end packaging boxes can be created. The packaging industry has evolved into something spectacular. With high printing technology and techniques, different designs and styles of packaging boxes can be printed. Modern printing technology such as the digital and offset printing technique is used to deliver high-end packaging boxes. Apart from quality printing, different finishing options are also used to make the packaging boxes more durable and attractive. Finishing used are glossy, matte, embossing, spot UV, de-bossing, gold foiling, and silver foiling. Quality ink is also used to enhance the quality of the packaging box. Different attractive letterings, images, and designs are also used on these boxes. Windows on these boxes also make the product more visible for potential customers to see. Since potential buyers can see what is inside the packaging box, they can quickly decide to make a purchase immediately. Design templates are offered for the consumer to help bring out their creativity and ideas. Leading packaging companies provide template designs to inspire customers to create the best packaging boxes for their brand. Creating outstanding packaging boxes will add more value to the product and business. The business reputation will also be increased. Leading packaging companies also offer free template designs. Consumers can also decide on whatever color, shape, and sizes of packaging boxes they will love to have. When it comes to creating a unique eyeshadow box for your brand, hiring a professional is all you need. The competition in the business world is increasing every day, and that is why you need to get creative to entice your buyers. You are very sure of creating the best packaging box when you hire the right professional. Packaging professional has what it takes to give you the highest quality of packaging boxes that will do your business to another level. The quality and attractiveness of your packaging boxes will affect your business positively. That is why you must choose the best design and style of packaging box for your brand.